What do you think of when you think of the Greek island Santorini? 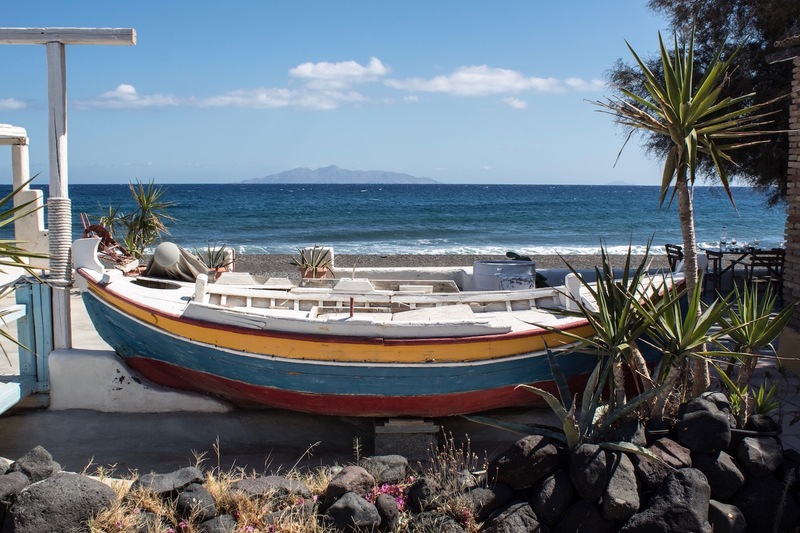 Even if you haven’t been there I’m sure you picture white homes dotted with blue along a mountain ridge overlooking the deep blue see, donkeys, Mama Mia perhaps (even though I don’t think it was filmed there), beaches, and sunsets. Santorini is that and soooo much more. 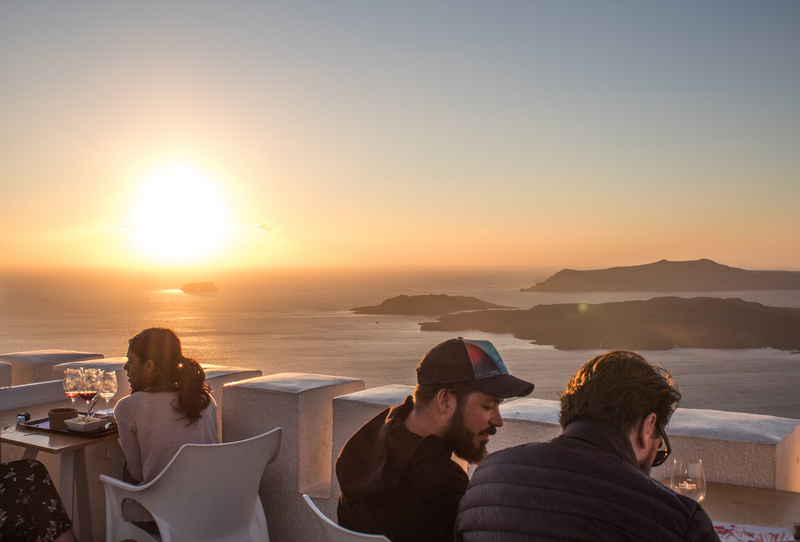 There’s actually a list I’m working on about Santorini and the top things to do while there. Included are the very touristy things to do as well as the sort of off the beaten path things to do. There’s lots to include but while I get that post ready I needed to do a separate one altogether for one of my favourite things that we did while in Santorini! Wine tastings!! 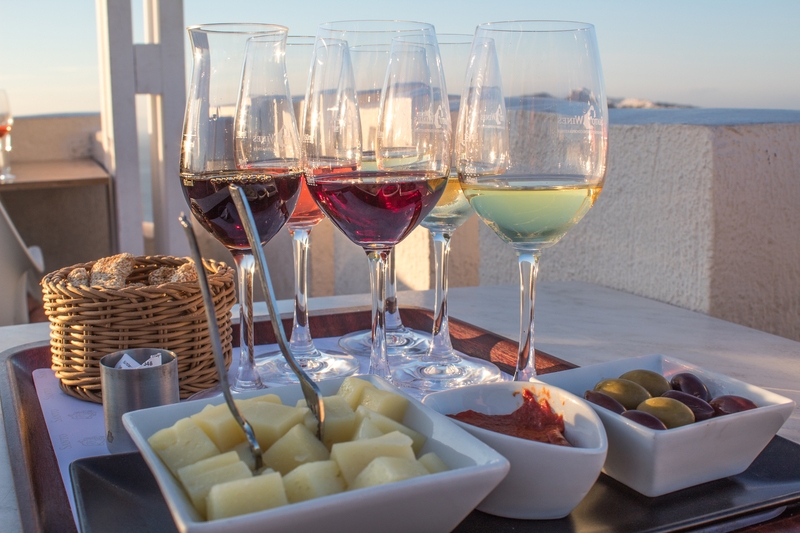 Yes Santorini is full of vineyards and has many noteworthy ones to check out. Before we left I told my friend that I couldn’t wait to go some wineries in Santorini and she said “wine tasting in Santorini? What? Really?” And she is Greek and had been there before. 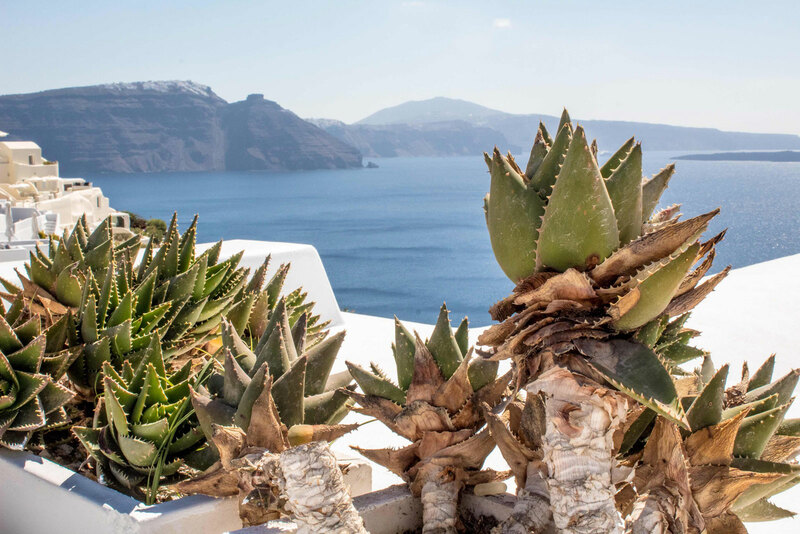 Yes Santorini isn’t known for its wine to most tourists so let me tell you about the grape varieties, wines, vineyards and some of the wineries we visited and enjoyed so much!! We loved the concept of this winery. 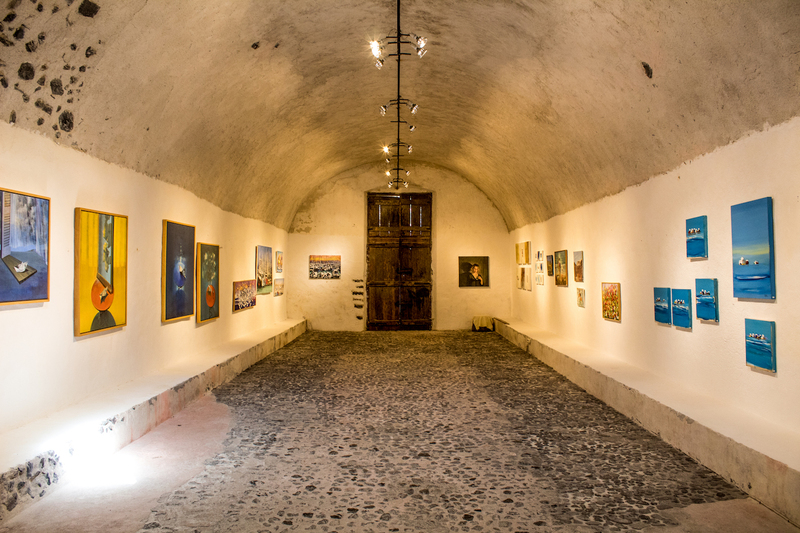 The old, original, pre-industrial winery of 1861 closed in 1952 and was reopened as Art space in 1999. Unlike the other wineries mentioned below, this had a much more traditional feel to it, with a twist. 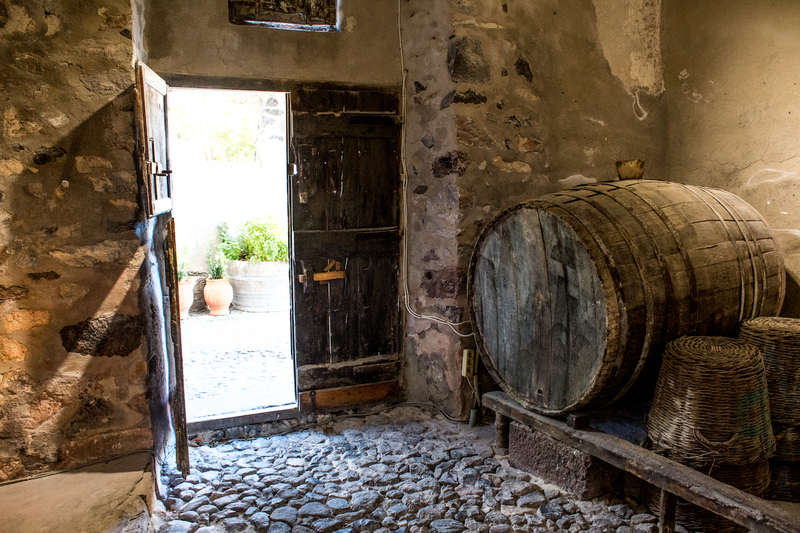 The chambers of the old world winery were restored and used as a museum showing the history of wine in Santorini as well as local and international artists. The new winery is below ground in caves. It’s a very cool space. It was fascinating to walk around enjoying the beautiful art and history of the place. At the end we enjoyed sharing a tasting of their featured wines which were excellent. True to how they are described — quality over quantity. The staff was very friendly and knowledgeable and helped us understand the history of wine in Santorini and the history of each wine we tasted. 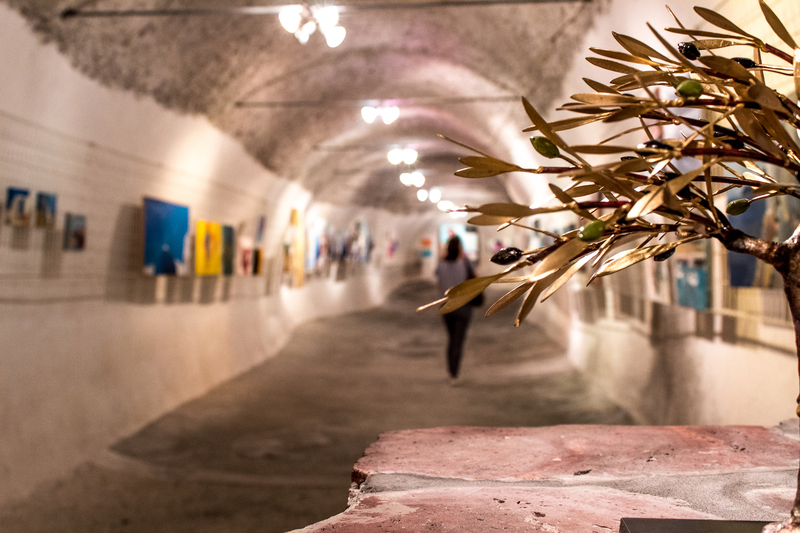 The combination of history and art make this a very interesting winery to visit. Situated on a beach, on the east side of the island, between Kamari and Monolithos is a wonderful winery whose largest vineyard is actually in the Peloponnese in Greece. Their reds were wonderful, in fact all of the varieties were unique and worth trying! 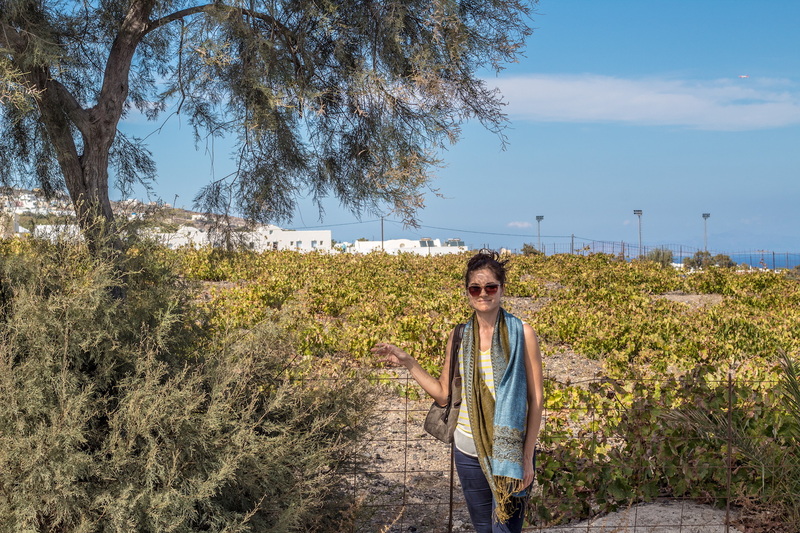 They do have wines from the island’s vineyard too, mainly from the Asyrtiko grape which were fabulous and described as a white wine with red characteristics. Enjoying the seascape and fantastic appetisers while we sipped wine was definitely an unforgettable experience. We arrived towards the end of the busy season for the island and we were one of two couples there. The staff was great and took time to sit with us and explain in detail about each wine, grape variation, flavour and even where the appetisers came from on the island and the history of the winery. The winery was originally a tomato factory. They renovated it when it closed down giving it new life as a winery. It has a very relaxing atmosphere and vibe. We even got to taste the aged vinegar from Assyrtiko they produce. 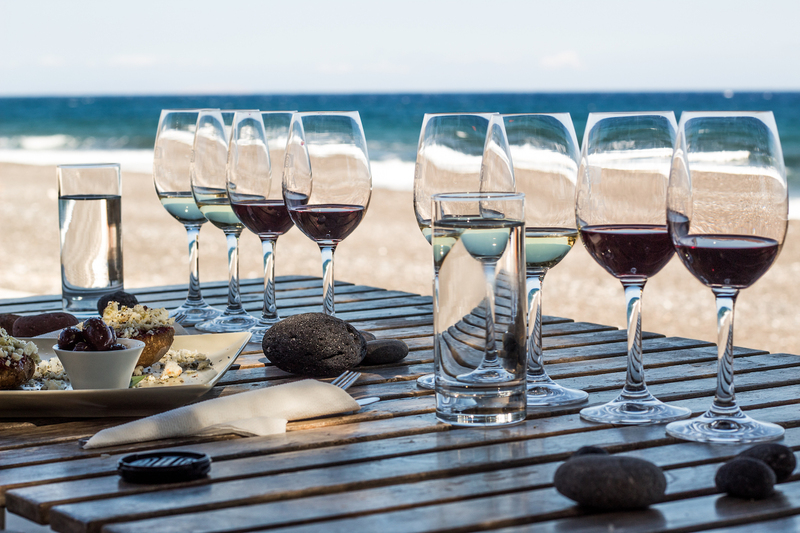 How many wineries do you know of that are right on the beach? 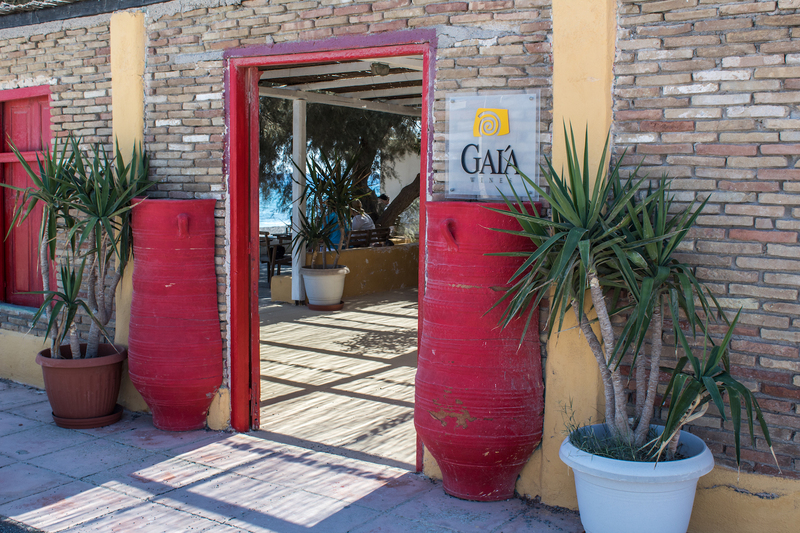 Perhaps the most well known of all the wineries on the island, it is also one of the largest. 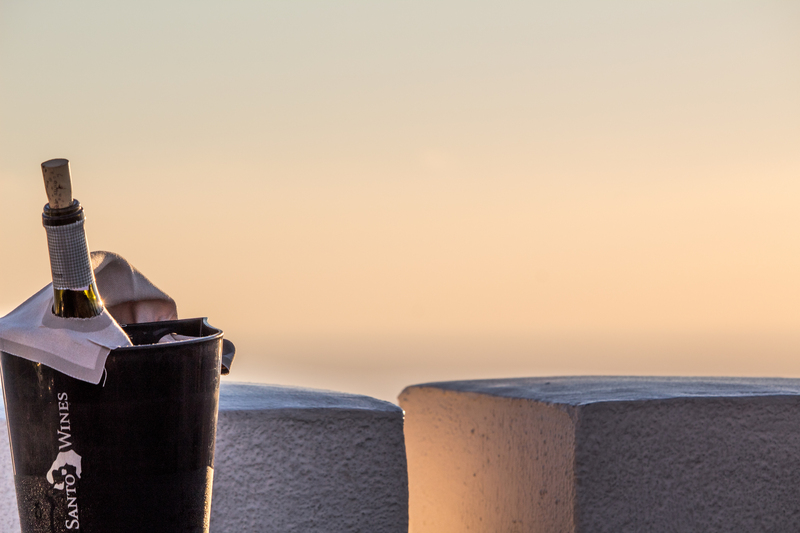 Perched on a cliff face overlooking the serene caldera this winery is best visited last. There is a considerably large dining area which you can do your tasting at or enjoy a full meal. In fact because of it’s location, there are several tiers of seating. Try to get in one of the lower areas that give you an unobstructed view. As mentioned before, this should be the last winery on your stop for one reason only — the sunsets. The view is simply spectacular. The flourish of soft hues of pink and orange are a site to behold and made all the more enjoyable sipping on some wine. Bring a light jacket as it can get a bit cool and windy as the evening progresses. Oh and they are quite generous with the their pours, so it may be best to have some food with the tasting or pre eat like we did. (Not realizing the tastings come with appetizers-boy were we full) Otherwise you may need to chill out a bit before heading on the road. 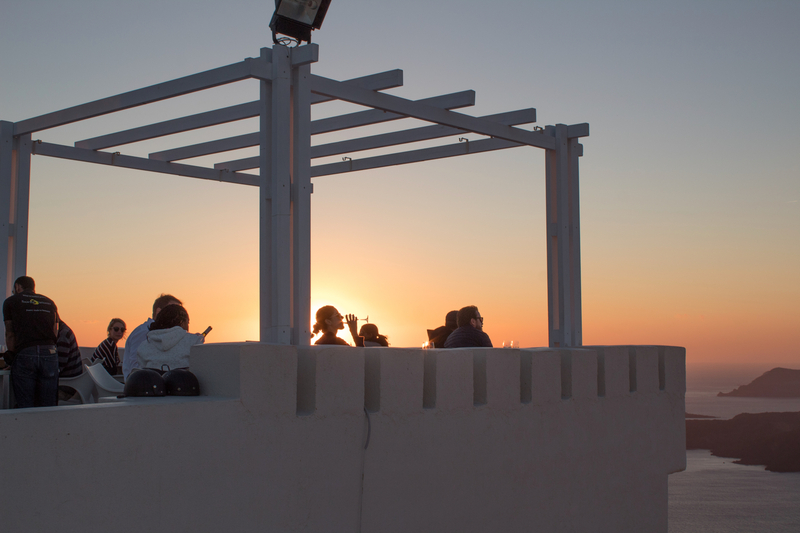 Amazing views make this wine tasting an unforgettable experience. Those were our top three picks of several wineries. We would love to go back to explore all the other too. Whichever ones you chose to visit, one thing is for sure, you won’t be disappointed by the varieties of wines and the beautiful views and settings that they are in.